The first medical marijuana dispensary in southwestern Vermont is one step closer to opening. With little fuss, regulators in Bennington approved PhytoScience Institute’s plan to open on Depot Street in a space formerly used by the Vermont Department of Motor Vehicles. The dispensary would be the first in Bennington County, reports the Bennington Banner. It will open in March. Dispensaries operate already in Burlington, Montpelier, Brandon and Brattleboro, and PhytoScience is expected to open another location in St. Albans. As of January 23, there were 5,458 registered medical marijuana patients in Vermont, according to Lindsey Wells, the state’s marijuana program administrator. Once 7,000 patients register, the state will issue a sixth dispensary license. Wells anticipates that could happen in July or August of this year. February 8: When one thinks of Aspen, Colo., ritzy ski town generally comes to mind. But Aspen denizens (and tourists) aren’t just drinking martinis. Legal pot sales outpaced alcohol receipts in the city last year for the first time. 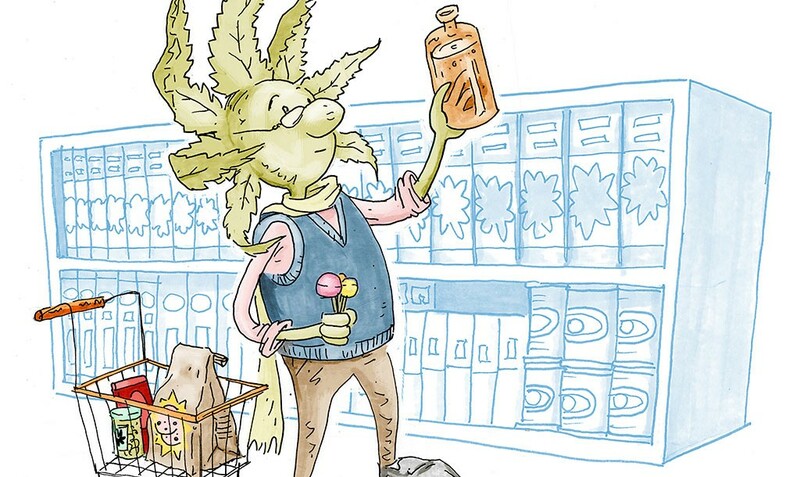 The city’s six cannabis stores raked in a combined $11.3 million in revenue, compared to $10.5 million for the five liquor stores. The Vermont Department of Public Safety on Friday approved a license for the state's fifth medical marijuana operation, which plans to open dispensaries in Bennington and St. Albans.